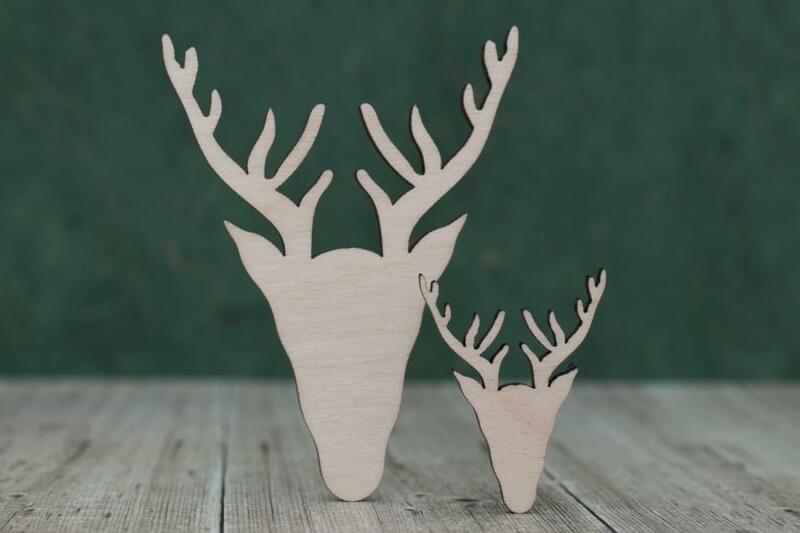 Wooden stag head craft shapes. Scottish stag / stag head shape options. 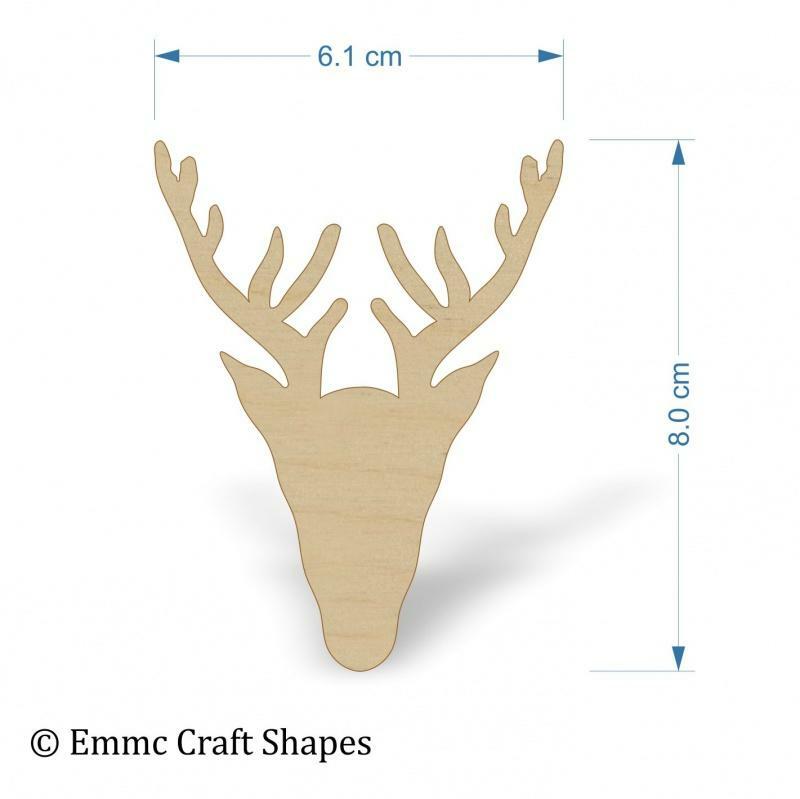 Let your imagination go wild with our wooden craft blanks, they are ideal for hangers, tags, card making,embellishments, scrap booking, decoupage, sign making, pyrography and many other art and craft projects. 4mm thick plywood Highland craft blank. 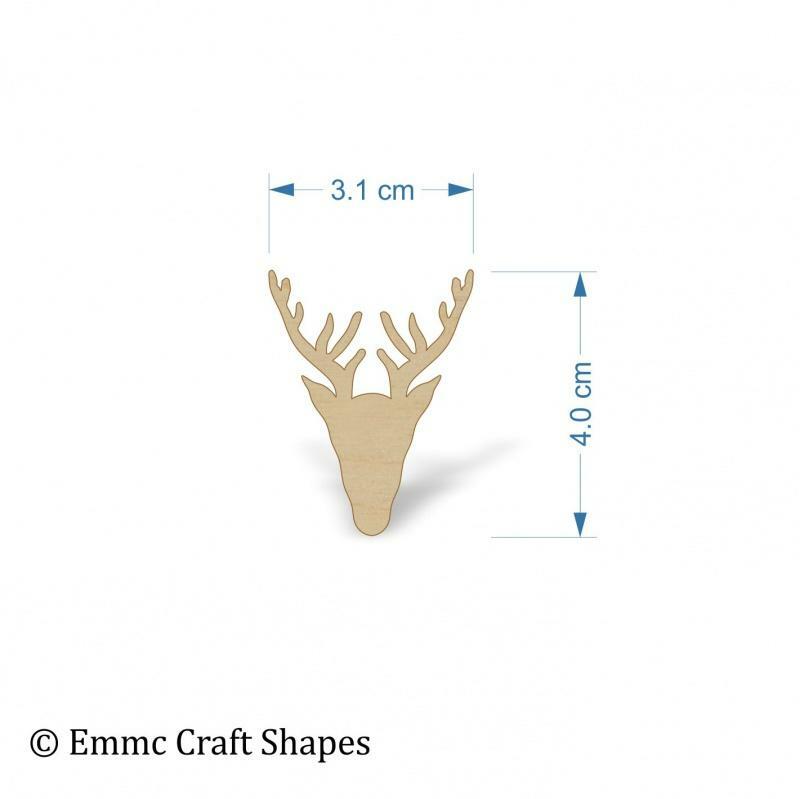 Wooden highland stag or deer head shape, laser cut from quality 4mm birch plywood. They are lightly sanded both sides. Ideal to be used on Scottish themed cards, plaques and box frames.